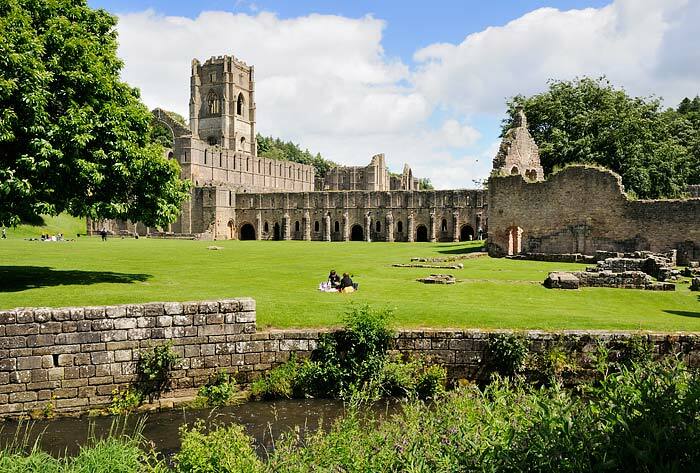 Located just to the west of Ripon, North Yorkshire is the eight hundred year old remains of Fountain's Abbey. 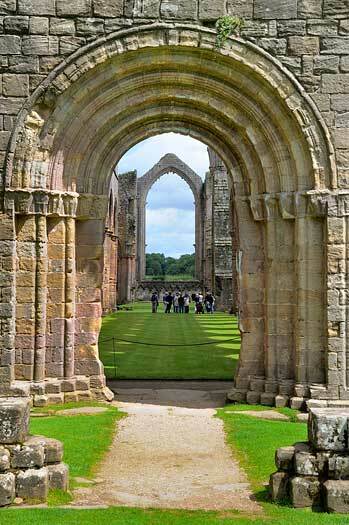 Set in the beautiful Skell valley, a riot at St Mary's Abbey in York led to the founding of Fountains Abbey in 1132. 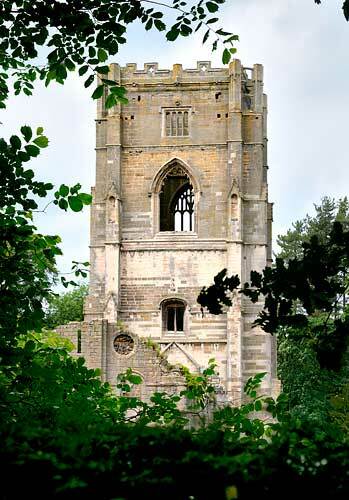 The thirteen exiled monks were given protection by Thurstan, Archbishop of York, who provided them with a site in the valley of the River Skell to found a new and more devout monastery. 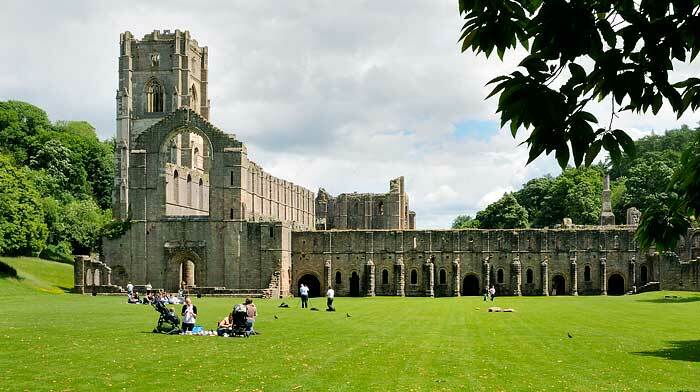 Within a few years the settlement at Fountains was admitted to the Cistercian Order who lived a rigorous daily routine of long periods of silence, a diet barely above subsistence level, and wore the regulation habit of coarse undyed sheep's wool which earned them the name White Monks. 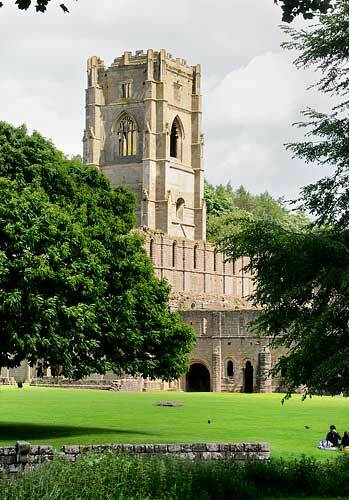 Fountains Abbey and Studley Royal are owned and managed by The National Trust. 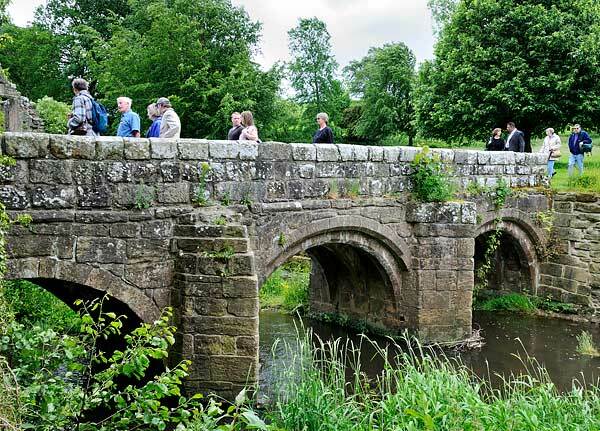 English Heritage works in partnership with The National Trust to protect this World Heritage Site. The great west window and doorway... ...looking through the door along the nave towards the high altar. 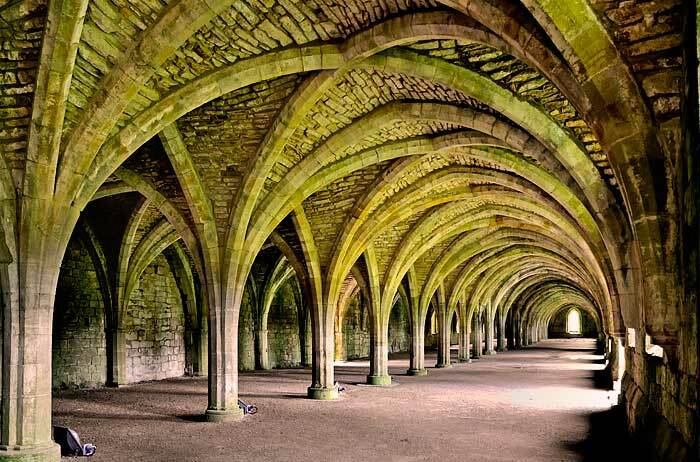 The Cellarium ~ The amazing cellarium roof escaped Henry VIII’s dissolution of the abbeys in the16th century and has remained intact. 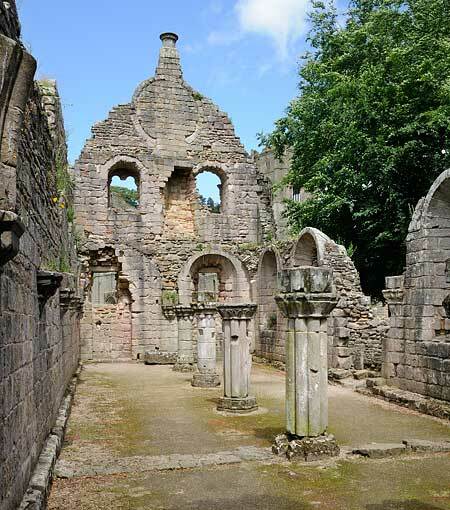 It was the Cellarium where the lay brothers ate, slept and socialised after the Abbey introduced the Cistercian system of lay brothers. The brothers were usually illiterate and relieved the monks from routine jobs, allowing them to dedicate more time to God. 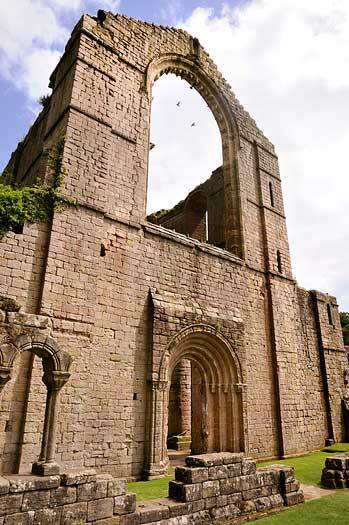 Many served as masons, tanners, shoemakers and smiths, but their main task was to look after the Abbey's vast flocks of sheep, which lived on the huge estate stretching westwards from Fountains to the Lake District and northwards to Teesside. The Infirmary Bridge with the guest-houses in the background. 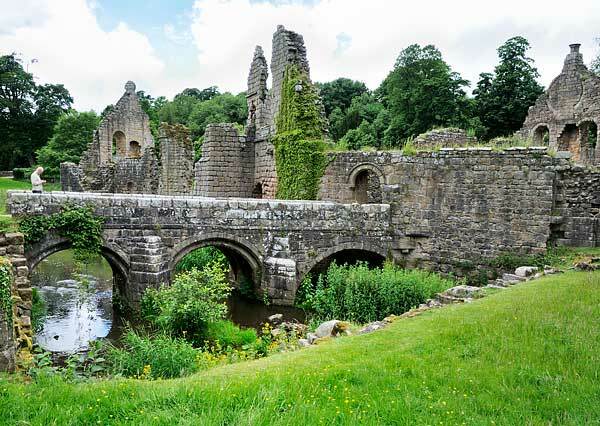 The 12th century Infirmary Bridge over the River Skell. The east guest-house with its circular window blocked in the 14th century for the building of a flue.